Although being one of the older power plants on this list of IPPs having launched in 1987, the Kapar plant manages to also be the most dynamic. 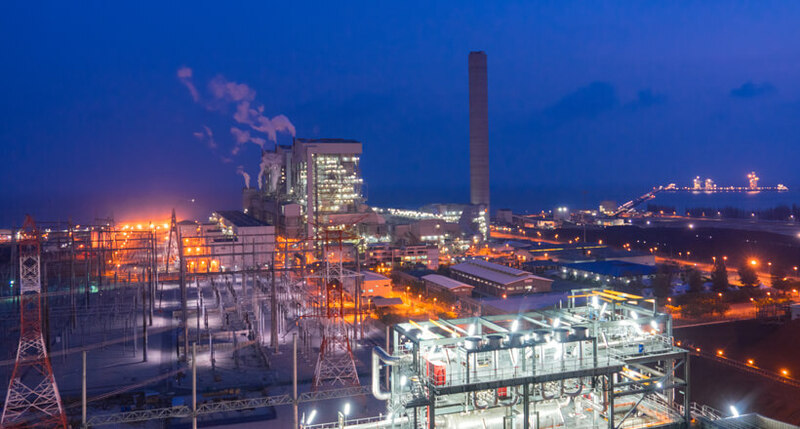 It is the first and only power station in Malaysia with triple fuel firing capabilities – gas, oil and coal – and is also the largest power plant in Malaysia, with an impressive generating capacity from its two 300MW units and two 500MW units. Located off the coastal road between Port Klang and Kuala Selangor, the Kapar Energy Ventures plant was first conceived in the 1970s and commenced construction on 240 hectares of reclaimed mangrove swampland. 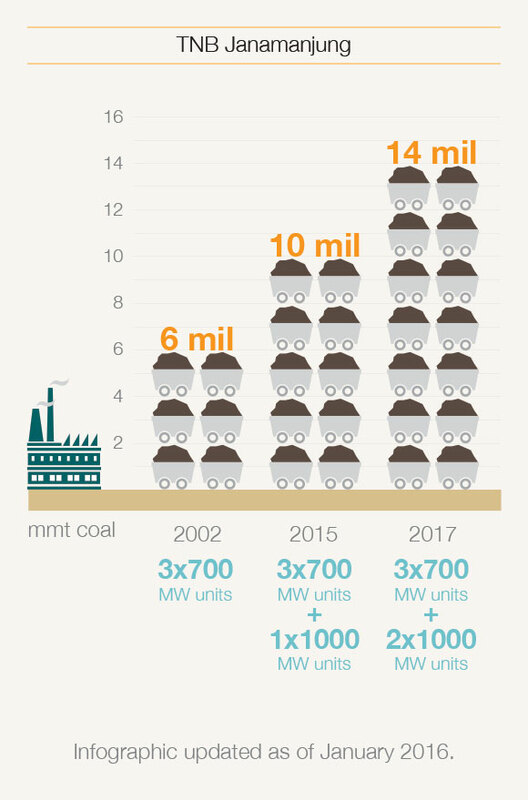 It was then the first coal-fired power plant in Malaysia, and has grown into a sub-critical power plant today processing MFO and bituminous coal. It is now the top producer of electricity in Malaysia, and its ash pond is endearingly a popular haunt for thousands of migratory water birds travelling between Siberia and Australia. Its official name is the ‘Sultan Salahuddin Abdul Aziz Power Station,’ named after the then Sultan of Selangor who launched the building. Not lacking in its efforts in reducing pollution and keeping our planet green, the Kapar plant is fitted with ESP and FGD as part of environmental regulation requirements, as well as the planting of mangrove trees. 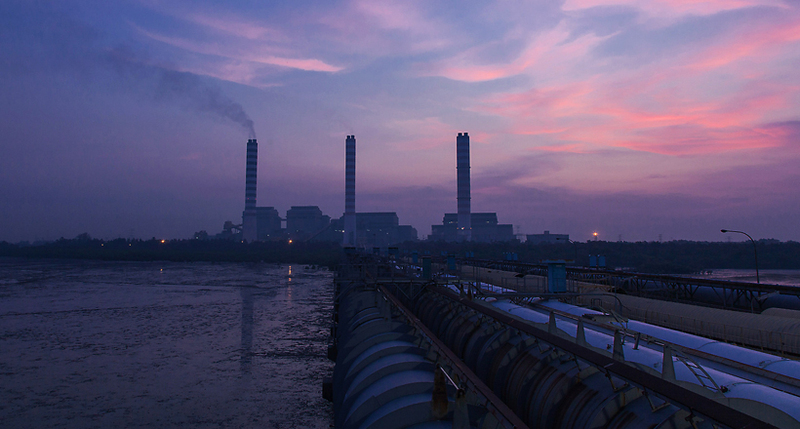 The TNB Janamanjung power plant is a sub-critical coal-fired power plant that processes sub-bituminous coal. It’s based on a man-made island off the coast of Lekir, Perak, making access to sea freight a straightforward affair. The plant receives approximately 6 mmt of sub-bituminous coal annually, and is equipped with three 700MW units and one 1000MW unit. This figure is expected to rise with an additional 1000MW unit committed. It has also been crucial to meeting the rising demand of electricity in Malaysia since its completion in 2002. 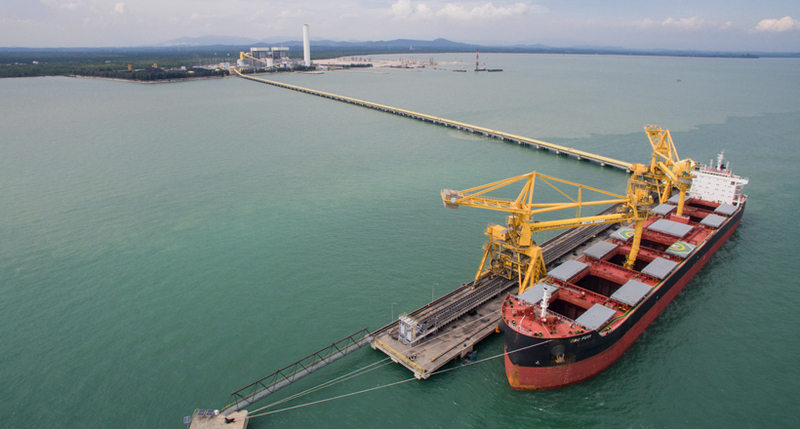 The TNB Janamanjung plant sits on reclaimed land on an island, and was built with a terminal that handles the offloading of 6 million tonnes of coal that the plant processes each year. The jetty, which was completed in 2002, is capable of serving capesize and gearless vessels of up to 150,000T. The 254ha land that the plant sits on sees allocation of 70ha for the power plant and 175ha for the ash pond; The rest are terminal facilities. The earth is the only one we got, which is why the plant uses low sulphur and low bitumen coal to minimise pollution. The resulting ash is valuable for the cement industry, and most is caught by electrostatic precipitators. Dust control is also important to limit air pollution to the area surrounding the plant. To achieve this, the conveyor belt is covered and sprinkler systems remove most of the dust from entering the air. The TNB Janamanjung plant, which refers to itself as a green power plant, proudly meets – nay, exceeds – higher emission standards than is typical for an ASEAN country. It operates to particulate levels of 50mg/Nm3 while the expected ASEAN level is at 400mg/Nm3. The plant uses low NOx burners and a flue gas desulpherisation facility to keep NOx and SOx emissions consistently low. With water too, the plant takes extra precautions by ensuring that waste water is adequately treated before it’s released into the sea. Efforts are not just limited to by-products of the plant – there is even a plan to reinvigorate to decayed mango swaps in the area. The Tanjung Bin power plant, located at the mouth of Sungai Pulai in Johor, commenced operations in 2006. 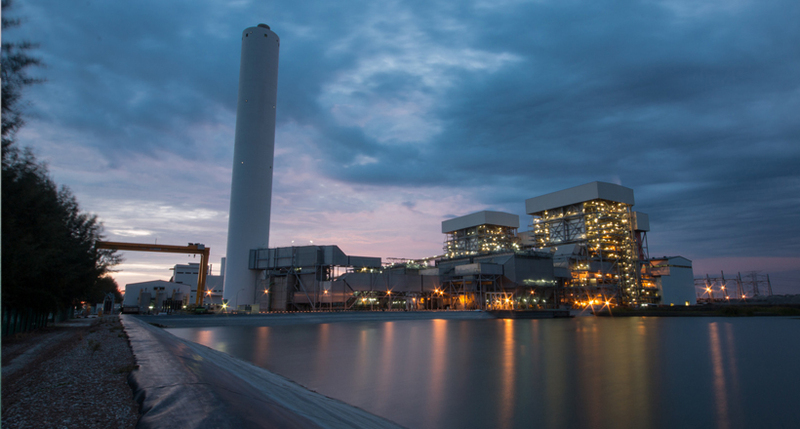 It is the first, and to date, the largest privatised coal-fired power plant in Malaysia. 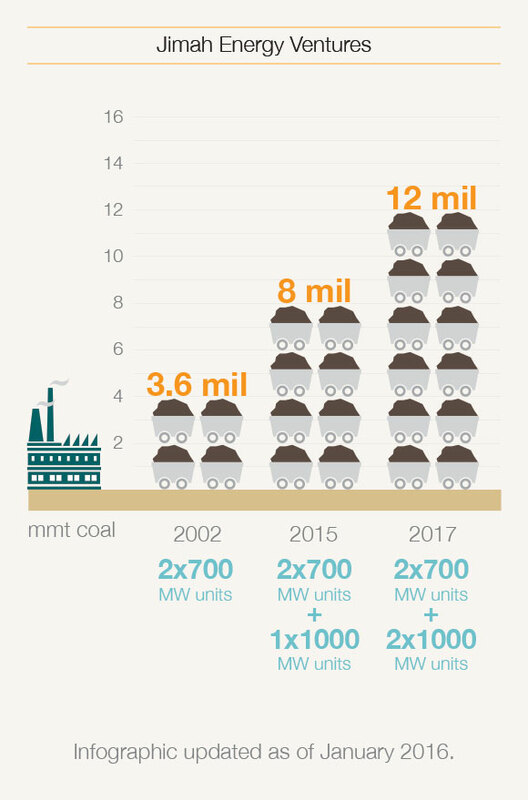 A sub-critical coal-fired power plant that produces an impressive 2,244MW supply, Tanjung Bin processes both bituminous and sub-bituminous coals through their three 700MW units, with another 1000MV units additionally scheduled for 2016. On clean coal technology, Tanjung Bin is equipped with electrostatic precipitators and flue gas desulphurisation. TANJUNG BIN ENERGY SDN. BHD. The Jimah Energy Ventures power plant (not to be confused with the Jimah East Power plant) is situated in Jimah district, between Sepang in Selangor and Port Dickson in Negeri Sembilan. The plant found its home on a beach facing the Straits of Malacca, adjacent to the mouth of Sungai Sepang in 2009. Jimah is a sub-critical coal-fired power plant that is capable of processing both bituminous and sub-bituminous coal types. From its two 700MW units, Jimah is capable of supplying 1,400MW to the Grid System. Jimah Energy Ventures, based on its locality, is also an advocate of mangrove planting, in its bid to improve upon the ecology of its surrounding areas. Jimah also implements pollution reduction measures according to its own comprehensive Detailed Environmental Impact Assessment Plan and regularly monitors emissions, noise, and water conditions around the locality of the plant for reporting to the DOE. It also plays an active role in improving the quality of life for its neighbours, evident in its contributions to the Kampung Chuah Single Mums’ Association, the Port Dickson Fishermen’s Association, and the Committee for Development and Safety of Kampung Chuah, Kampung Sawah, Kampung Pachitan and Kampung India. Other contributions include donations and sponsorship of dinners for orphans and single mums, the Port Dickson and Sepang Fire Departments, Sports Days organised by the Port Dickson town council, as well as to various schools in and around Port Dickson. See here for more information about Jimah Energy Ventures power plant.